Designed and handcrafted by the Cornish coast, our nautical inspired styles are perfect to see you from fresh spring days right through to hot holidays in the sun. Coveted by fishermen, artists and gardeners alike, a traditional smock holds practical appeal. Our Cornish-made style is oversized and crafted from contemporary indigo denim. 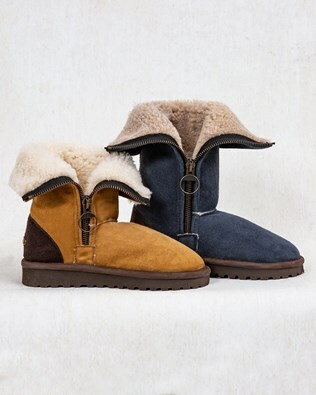 Warm but breathable, sheepskin is not just for winter. Here’s a flat sandal that’s easy and sophisticated at the same time - handmade by us here in Cornwall. Simplicity of design and handmade craftsmanship make these a summer classic. 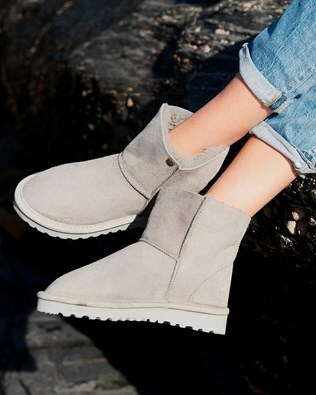 Handcrafted from pure British sheepskin in our workshop in Cornwall, the Aviator, which can be folded down and looks great with bare legs, is ideal for spring strolling.